Our eight-day comprehensive textile tour will give you an exclusive behind the scenes and hands-on experience of Norlha Textiles. Norlha is an enterprise that weaves together the two apparently opposing worlds of tradition and modernity. From the animal in the pasture, to the gifted hands of their artisans, Norlha's product is a result of the rich heritage of the Tibetan Plateau. 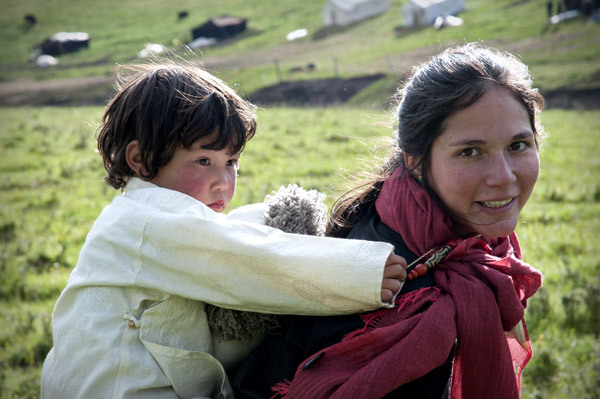 Norlha also utilizes modern technology, having developed the Tibetan Plateau's first ever Enterprise Resource Planning (ERP) system, to benefit the local nomads, helping them to expand the business and to meet the high demands of the modern market place. Norlha has collaborated with top fashion designers and high-end Paris fashion houses and has now established a brand of their own. Their approach to sustainability is to support the local nomads by providing them with sustainable employment opportunities, which gives them a stable income, to keep families together and traditions alive. In a world where fast fashion dominates, Norlha offers a product that will last a lifetime, and that will be shared with generations to come. You are invited to join our textile tour experiencing the rich traditions of the Tibetan culture. We will explore the famous Labrang Tashi Kyil Monastery and visit a local nomad cooperative. Our textile professional, Laura Shirreff, will guide us on this journey of a lifetime. We will witness the meticulous artisanal production during our visit to the Norlha rug weaving workshop as well the atelier at Zorge Ritoma. We will engage in extensive dialogue with the founder of Norlha, Dechen Yeshi, learning about the intricacies of Norlha from the fiber to the finished product. Equipped with our own personal tapestry loom, we will experience the exclusive Norlha yarn and fiber first hand through weaving and felting activities. 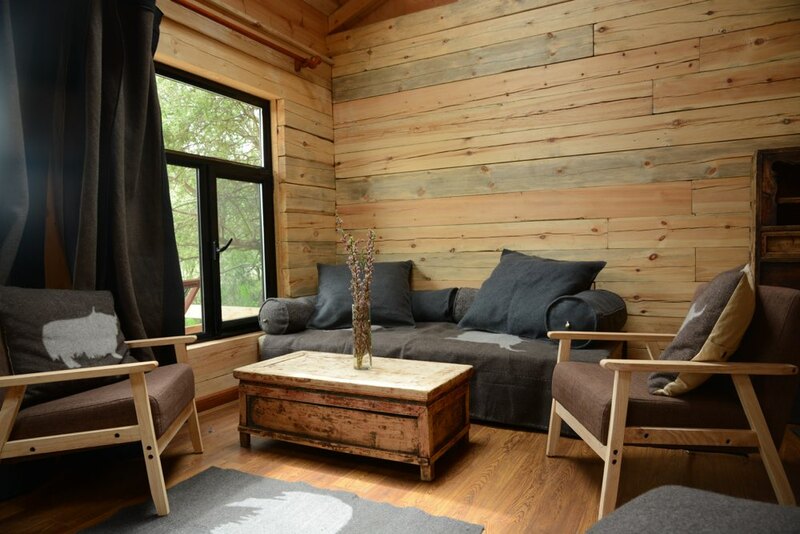 During our tour we will also have the opportunity to relax and recharge in the awe-inspiring natural environment and enjoy the luxuries and amenities of Norden Camp. We will indulge in the fine seasonal and organic Tibetan cuisine, take time out in the Norden spa and revitalize with an evening yoga class. Staggered airport pickups from Xiahe Airport (XHE), Lanzhou Airport (LHW), and Lanzhou hotels. 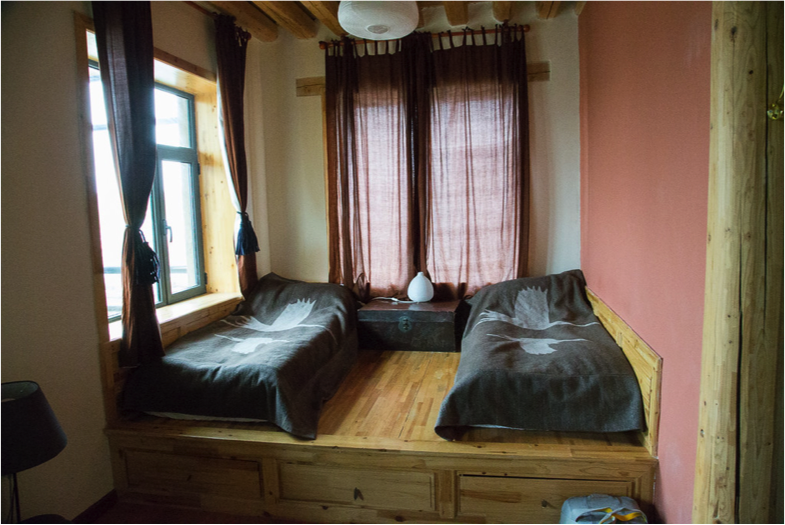 Settle in at Norlha guest house, relax, and acclimatize to the altitude. Orientation and welcome dinner. Morning Norlha tour and discussion with Dechen Yeshi. Lunch at Norlha's guest house. Afternoon tour of Ritoma Village. Overnight stay at Norlha's guest house. Morning hands-on felting activity with Norlha's exclusive yak fiber. Afternoon visit to Sky Monastery. Overnight stay at Norlha's guest house. Morning scenic drive to Norden Camp. Camp tour and orientation. Afternoon time to relax and enjoy the Norden hot tub and sauna. Evening yoga class. and shop for ethnic food, traditional clothing and souvenirs in the popular local markets. 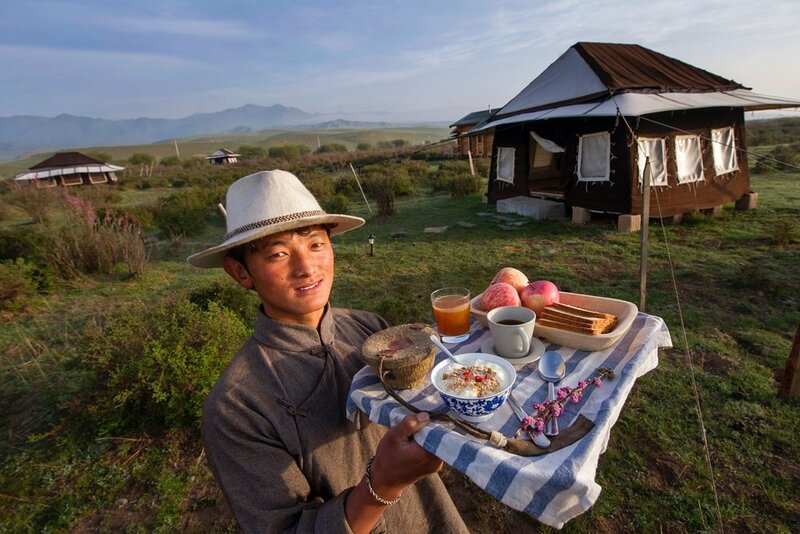 Morning journey to meet local nomads at the Lungta cooperative and experience the yak-based delicacies. Afternoon free time to relax. Evening yoga class. Morning visit to Norlha's carpet weaving workshop. Afternoon tapestry loom weaving instruction and time to work on personal woven art project. Join our Weaving Two World Textile Tour to experience the two seemingly opposing worlds of tradition and modernity, of luxury and sustainability. Both Norlha and Norden effortlessly bring together these worlds to offer unique hand-crafted, luxurious products and awe-inspiring experiences on the Tibetan Plateau. Our tour allows a rich and memorable sampling of what Norlha and Norden have to offer. We begin our tour in Zorge Ritoma, the traditional Tibetan village that Norlha Textiles chose to make its home. After the airport pickups, we have time to settle in at Norlha’s guest house, relax, and acclimatize to the altitude. We will have an orientation and welcome dinner. After a good night rest and a hearty breakfast, Co-founder Dechen Yeshi will lead us on a tour of Norlha's atelier, sharing with us her knowledge and experience since its opening in 2007. After a nutritious lunch at Norlha's guest house, we will have a guided tour of the village, getting to know more deeply the socio-cultural impact of the Norlha enterprise. On the morning of Day Three, we have the chance to experience a hands-on felting activity with Norlha's exclusive yak fiber. In the afternoon we will visit the nearby Sky Monastery (also known as Kangsta Monastery) before spending our last night at Norlha’s guest house. Kangsta, a small monastery situated on the border between Zorge and Karkya, is amongst the oldest Gelukpa monasteries in Amdo. It has been under the administration of Labrang since the 18th century and remains connected to its medical college. Tibetan monk doctors who were trained at Labrang maintain a clinic and a pharmacy of herbal medications made from plants collected every summer on the pasture. In the morning of Day Four we will enjoy a scenic two and a half hour drive to Norden Camp. In the afternoon we will have time to relax and enjoy the Norden hot tub and sauna. Laura will offer an optional evening yoga class for those who feel inspired to unwind with an asana and meditation practice before our dinner. On Day Five, after enjoying a hearty breakfast we set off to the nearby town of Labrang, for a guided tour of Tashi Kyil Buddhist Monastery, the largest and most famous Buddhist monastery in the Amdo region. After lunch at the Norden cafe, we have time to explore the town of Labrang, an important pilgrimage destination and considered the cultural heart of Amdo Tibetan culture. There are local thangka workshops and markets full of mala beads, incense, jewelry and more. Norlha also has a shop location in Labrang that showcases their beautiful products that can be purchased at competitive prices. In the morning of Day six, we will journey a few kilometers from the camp to meet local nomads at the Lungta cooperative. This is a groundbreaking enterprise founded by a group of farmers from Tsayig. 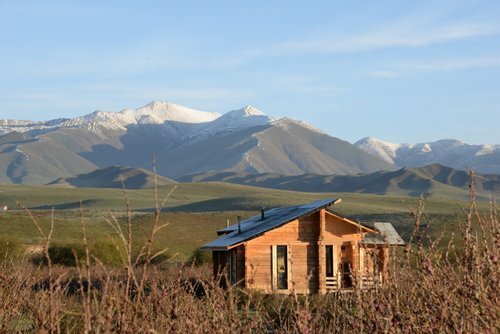 Spread over 100 hectares of rolling hills, the cooperative comprises 140 yaks, six mud colored cabins, a yak hair nomad tent and other tents staffed by twelve nomadic men and women. Modeled after the cheese-making tradition of France and Switzerland, the cooperative has a cheese cellar, which produces a good quality yak cheese as well as packaged butter for the local market. We will get a chance to try some of the delicacies before returning to Norden in the afternoon. Back at camp, we will have free time to relax and take in the surrounding natural beauty. In the evening Laura will offer an optional yoga class for those who want to stretch and rejuvenate before dinner. On our penultimate day we spend the morning at Norlha‘s carpet weaving workshop in Labrang. Norlha’s carpet project began in 2016. The aim of the project, supported by local government funding, was to train people from other areas and eventually to set up a joint venture in Choni, providing opportunity and employment there. Norlha carpets are unique, using only indigenous sheep wool from Central Tibet, famous for its length and luster, Norlha‘s carpets concentrate on texture, mixing traditional Tibetan carpet making processes with those currently used elsewhere. We will get a chance to observe this fascinating carpet making process and try our hand using some of the knotting techniques. In the afternoon, Laura will introduce us to the basics of tapestry weaving. We will each be given a frame loom to start our own personal project that we can take home after the tour. For our projects, we will have exclusive access to Norlha’s natural yak wool yarn. We have a rare opportunity to experience this yarn, as it is not sold or available for use beyond Norha‘s own production. On our last day, after a delicious and nourishing breakfast, we will offer each other our parting blessings before we depart for the airport. We will take with us the white khata ཁ་བཏགས་ scarf, as memory of our Weaving Two Worlds experience and as a symbol of the purity and compassion of Tibetan hospitality.